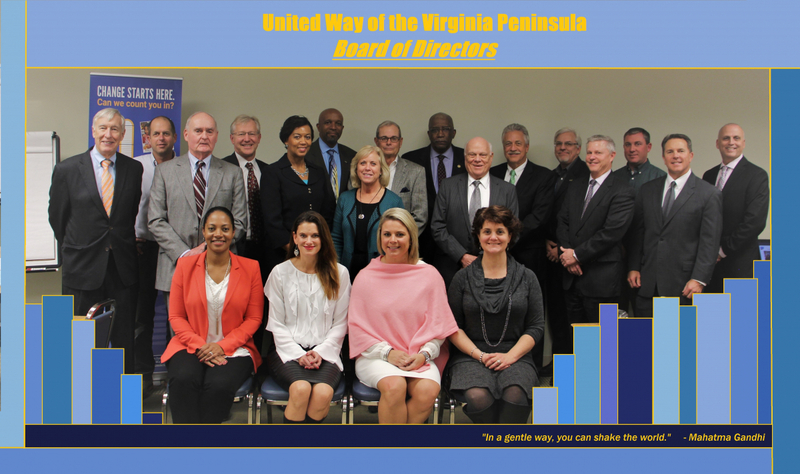 From the board of directors to fundraising volunteers and the thousands of others who lend a hand each year, volunteer leaders ensure United Way continues to help the Virginia Peninsula impact the issues that matter most. The Board of Directors helps shape the future of United Way. They are responsible for agency oversight and keeping United Way on the right track. The dedication of these volunteers to the Virginia Peninsula community and their commitment to creating real, lasting change is what drives United Way forward.